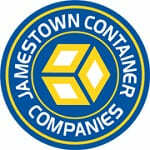 Since our founding in 1956, Jamestown Container Companies has grown into a multi-plant, full-packaging supplier with an exceptional reputation for quick turnaround, unmatched service, and quality products. We still offer a basic brown box, along with just about everything else you can imagine with a complete line of wholesale packaging supplies and contract packaging services. We do custom plastic packaging and contract packaging services as well. Call us or check out our site today for your packaging needs!